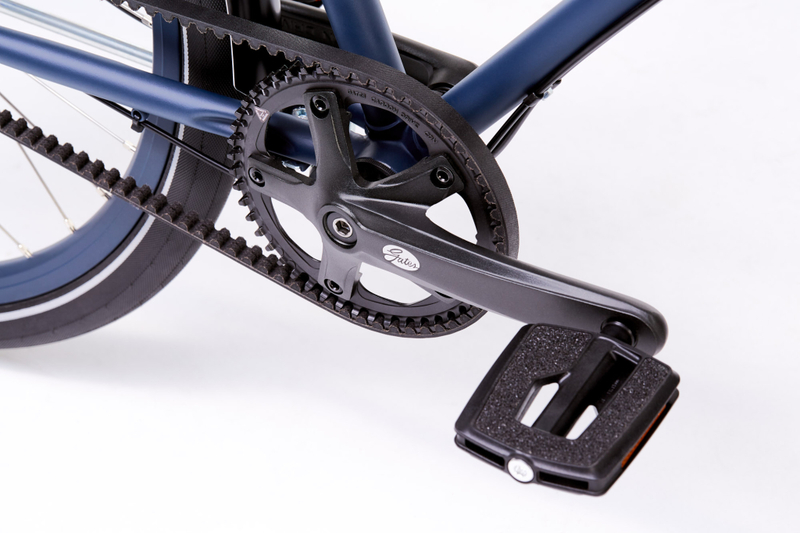 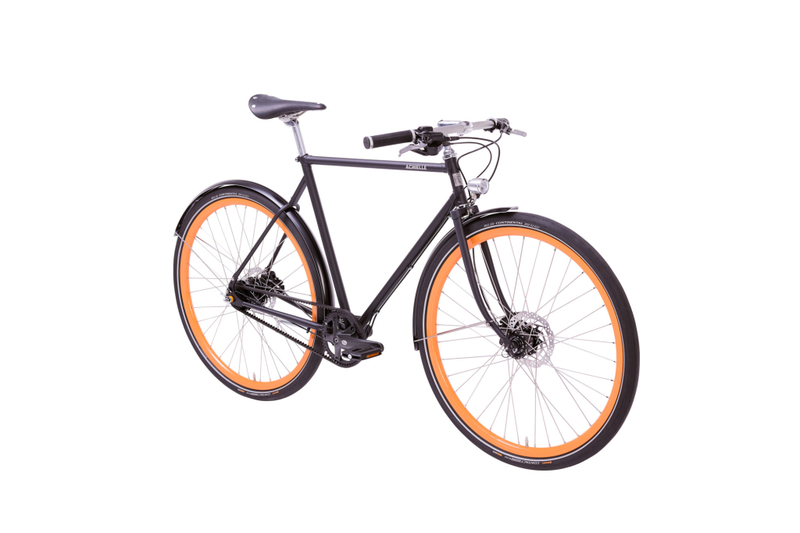 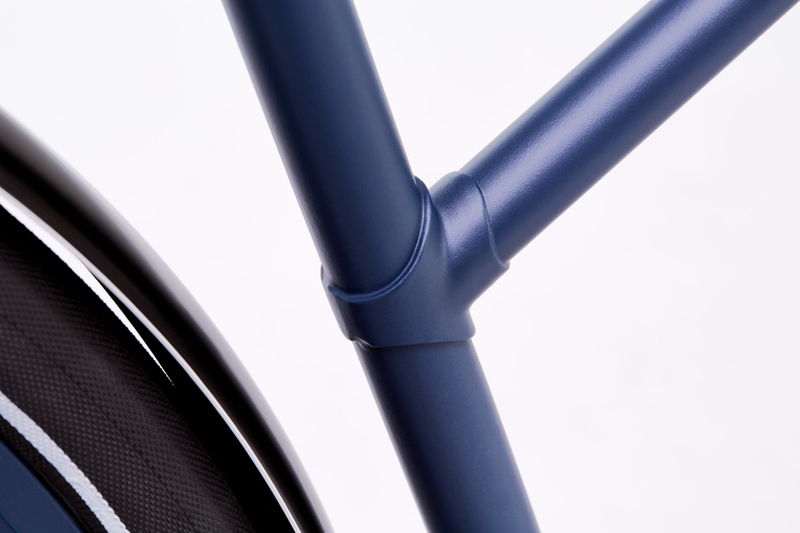 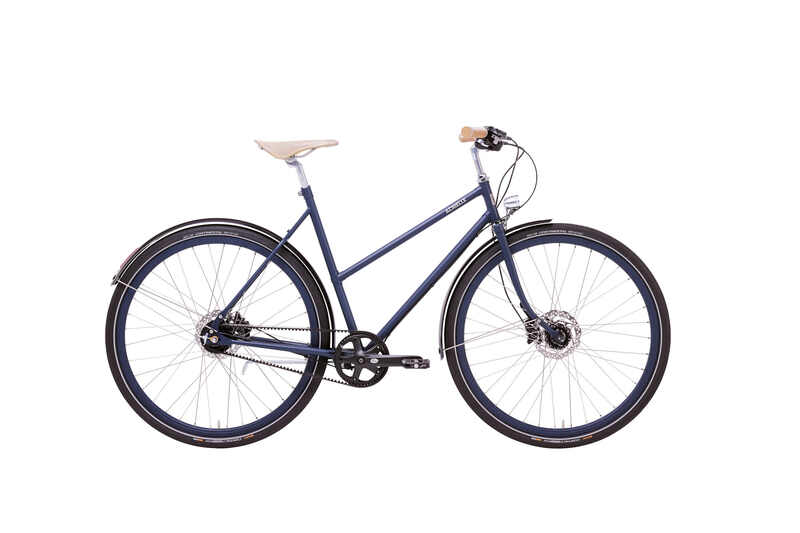 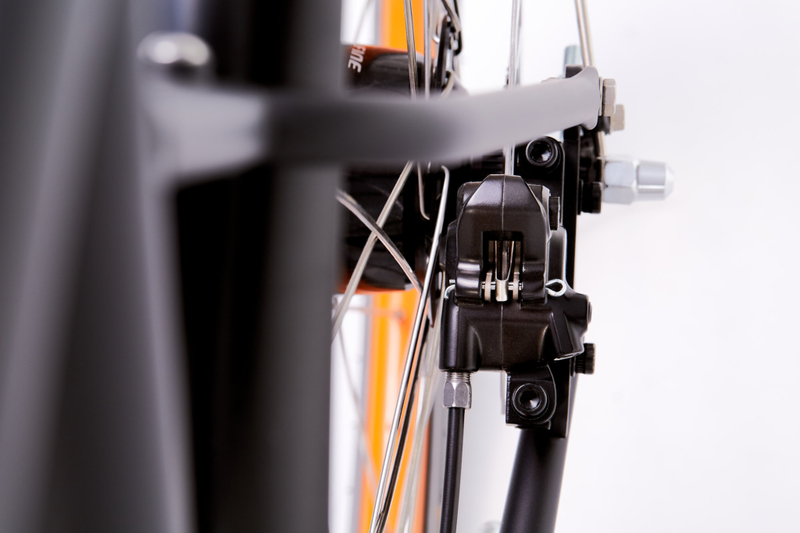 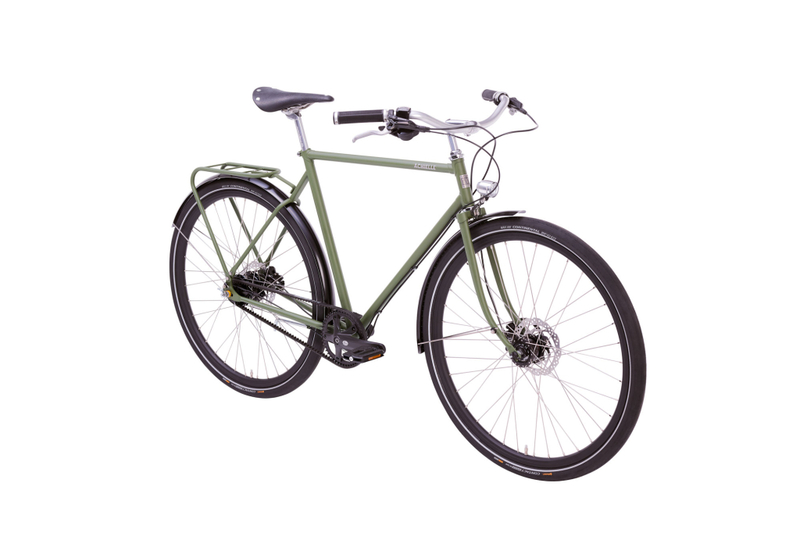 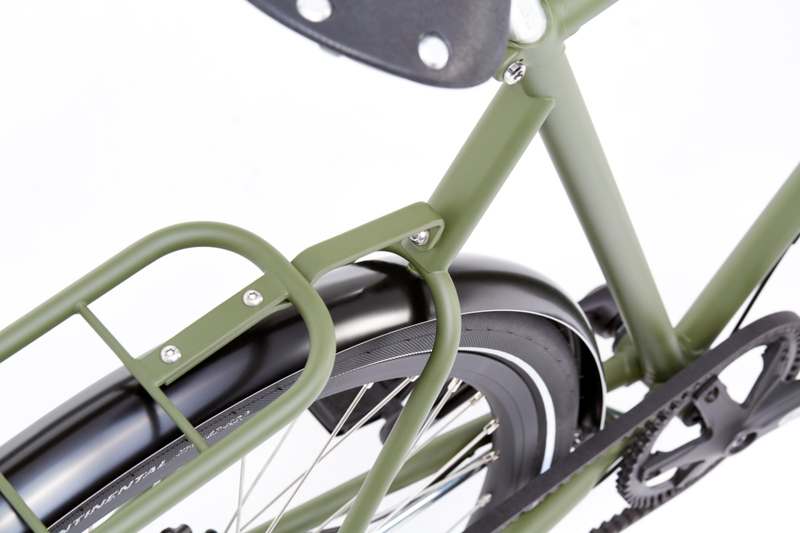 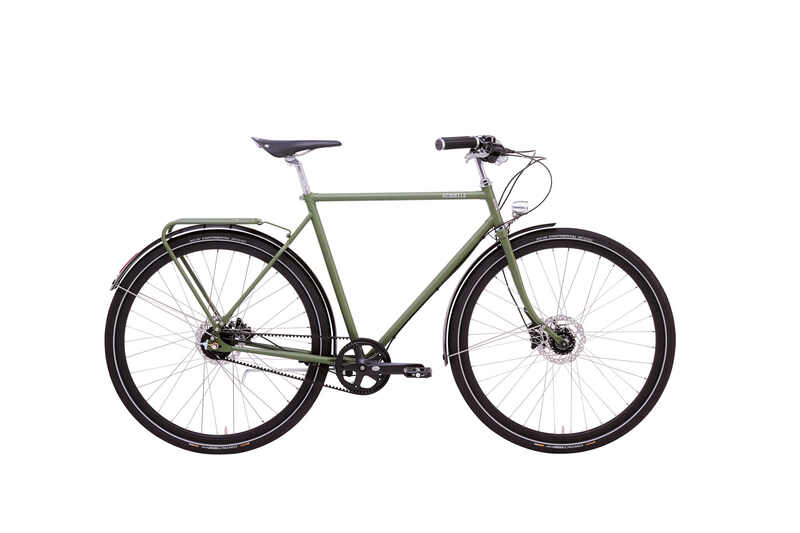 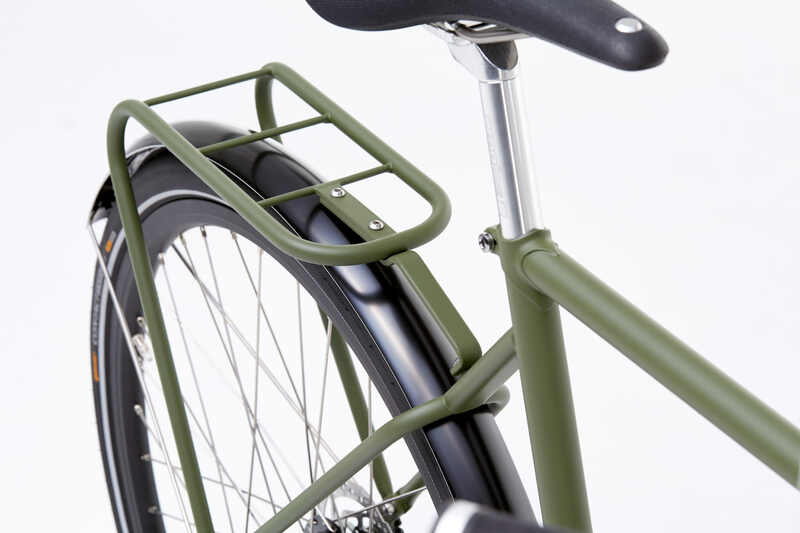 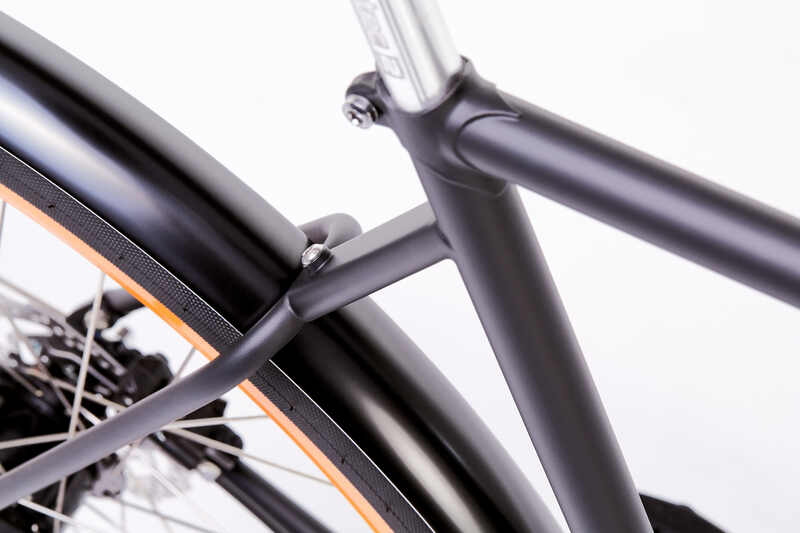 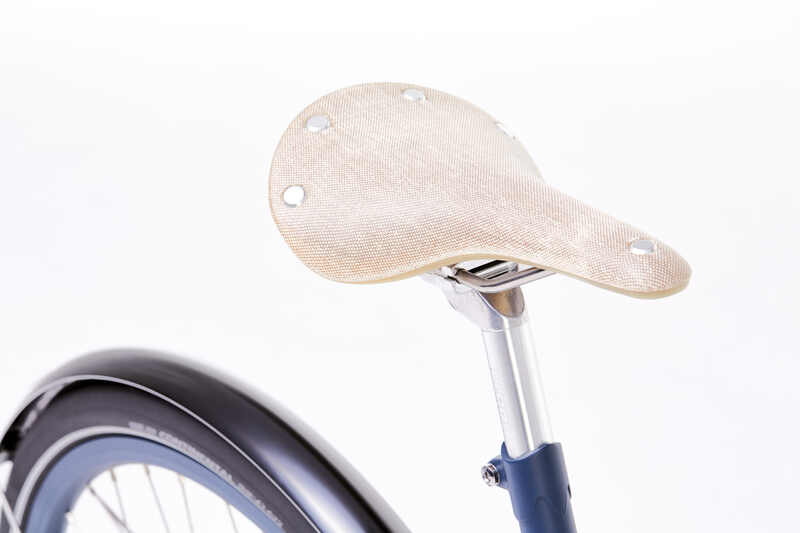 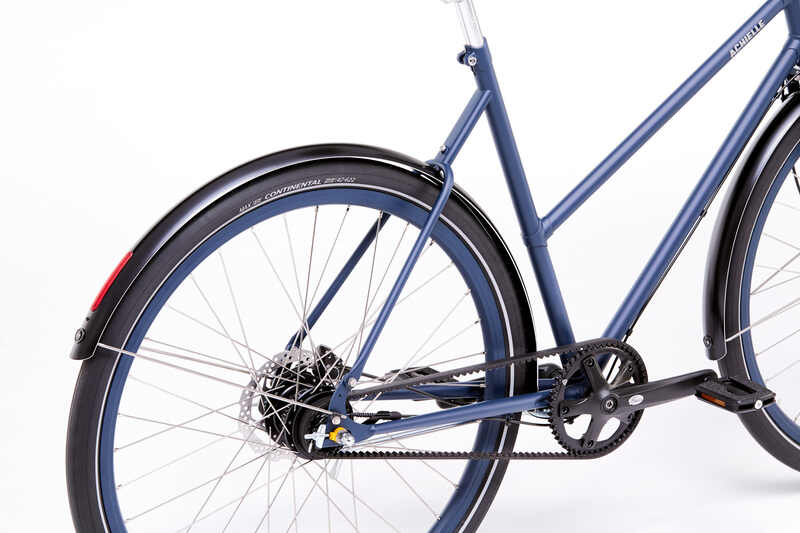 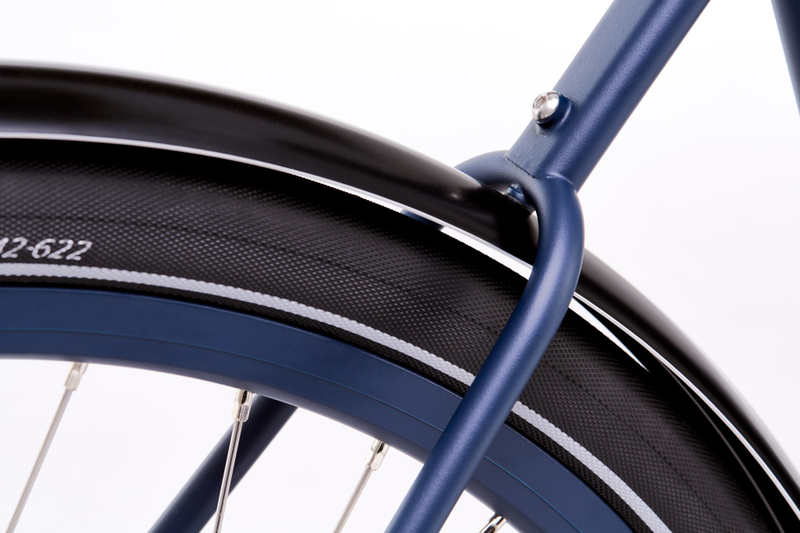 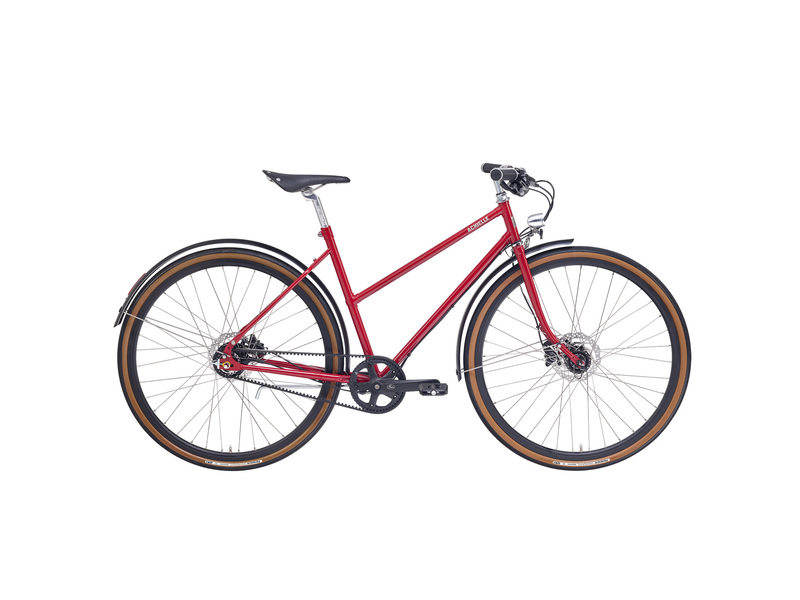 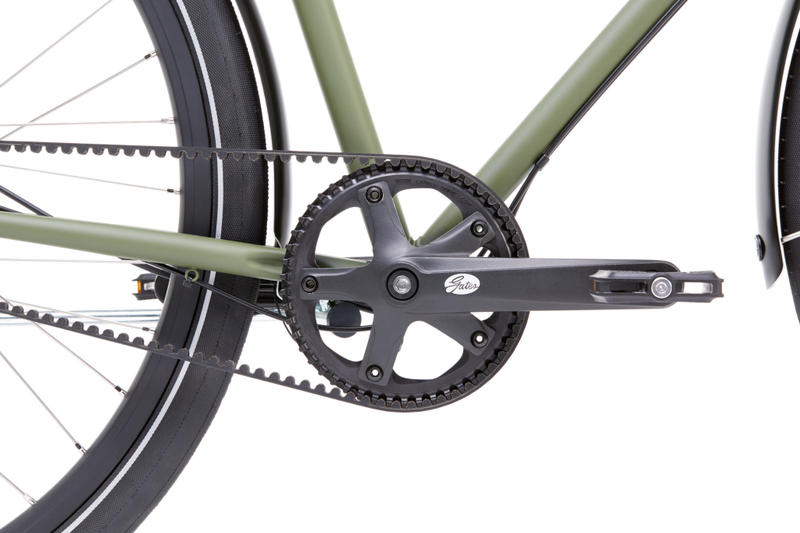 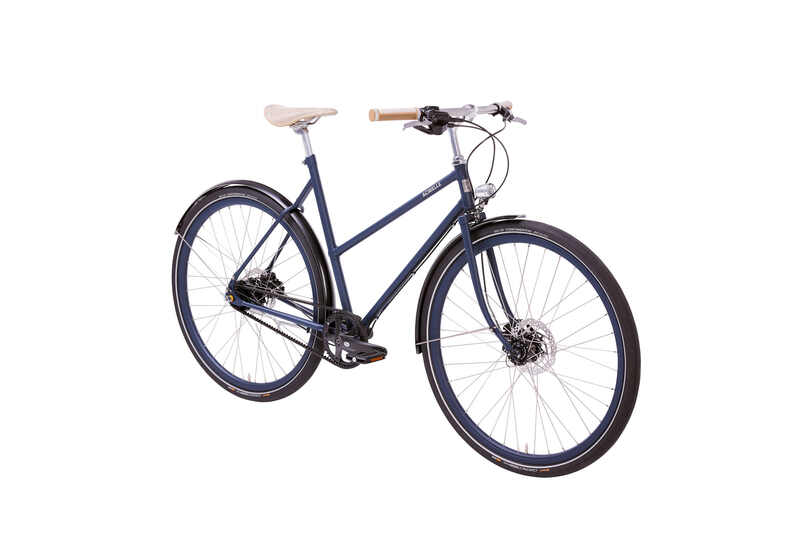 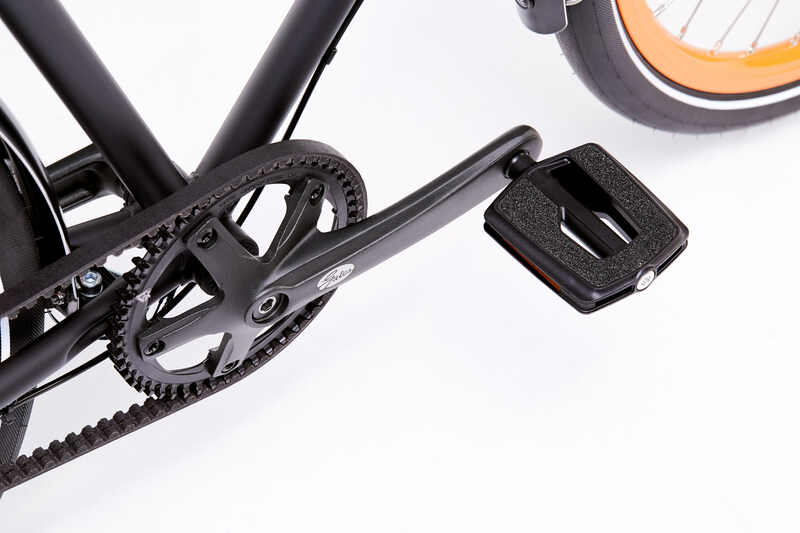 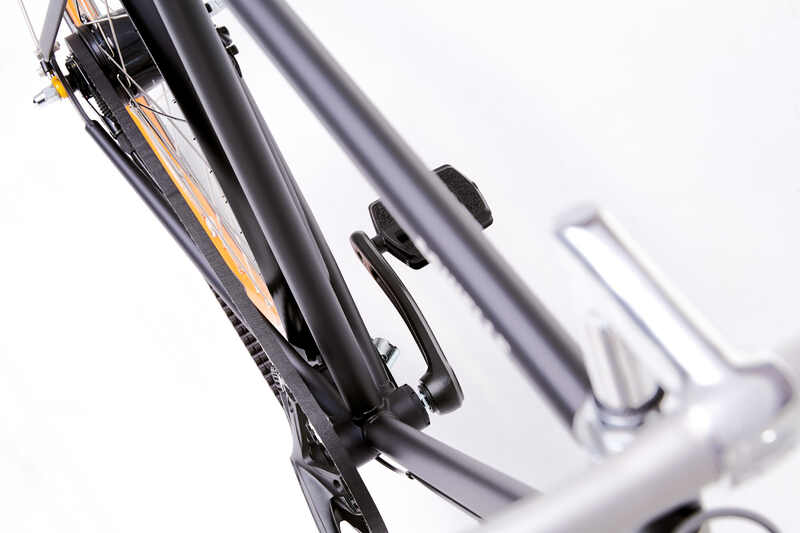 Extremely functional bikes, robust yet slim, Oscar and Olivia will charm any all-round cyclist year in year out. 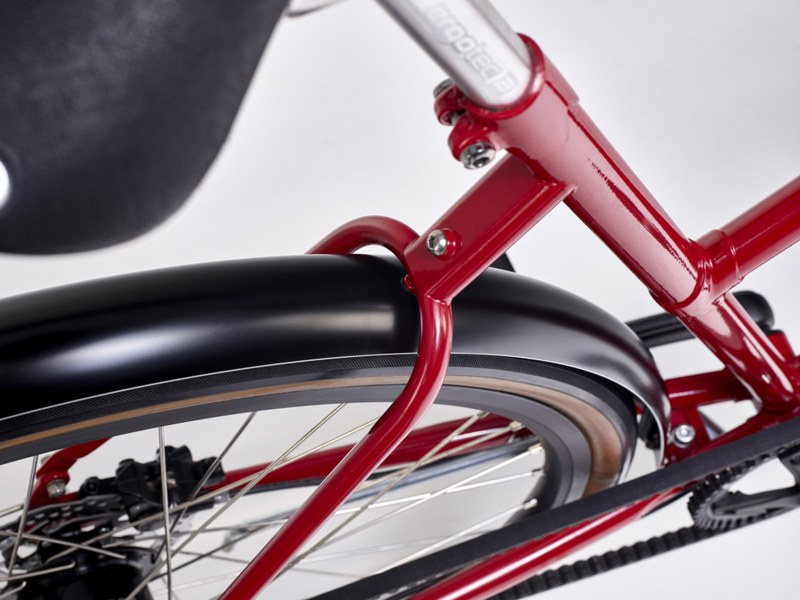 Whether you want to go on a long bike ride to work or a recreational ride in the weekend, Oscar and Olivia will do the trick. 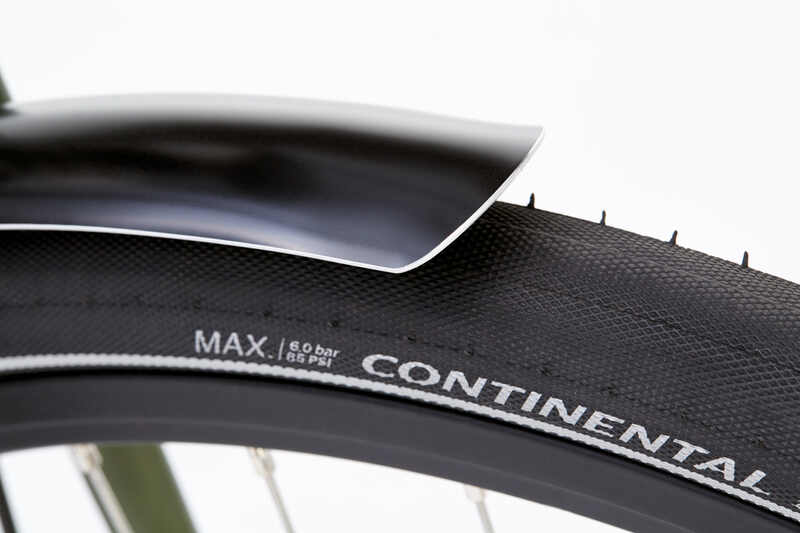 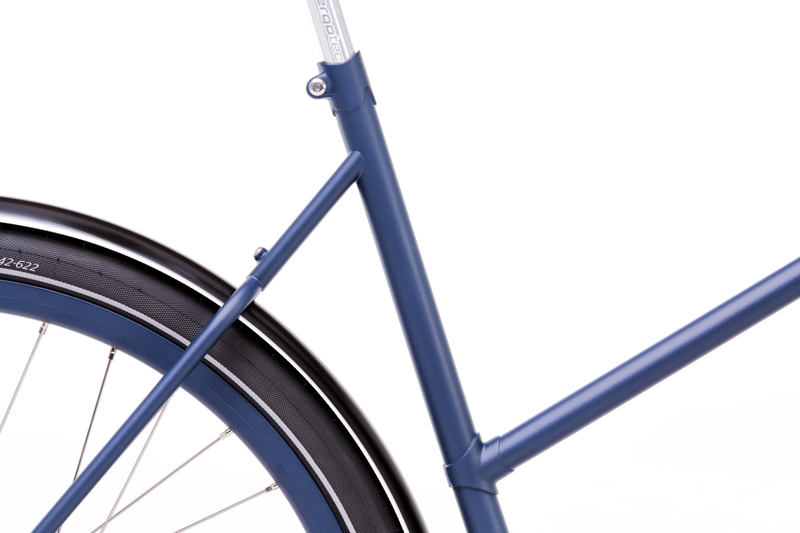 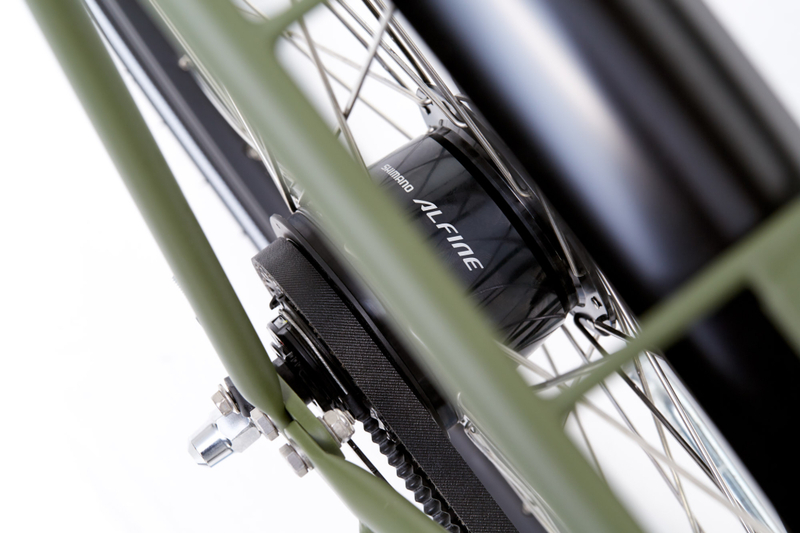 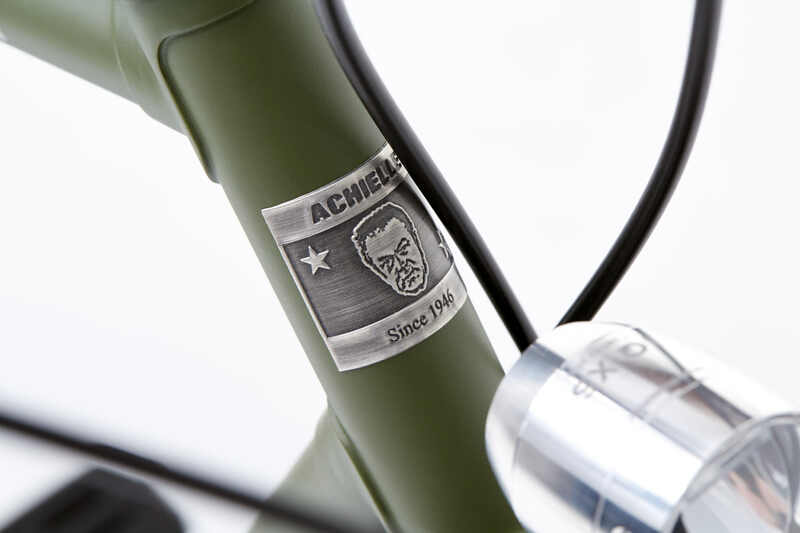 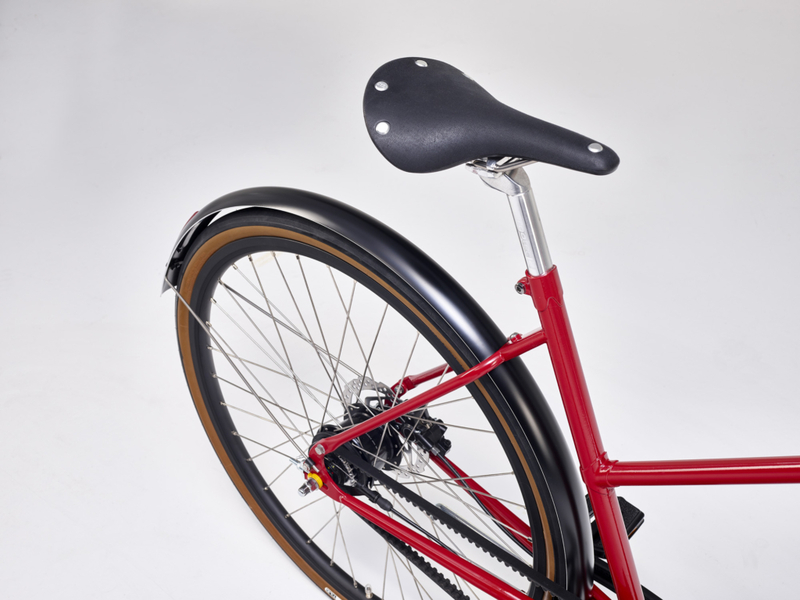 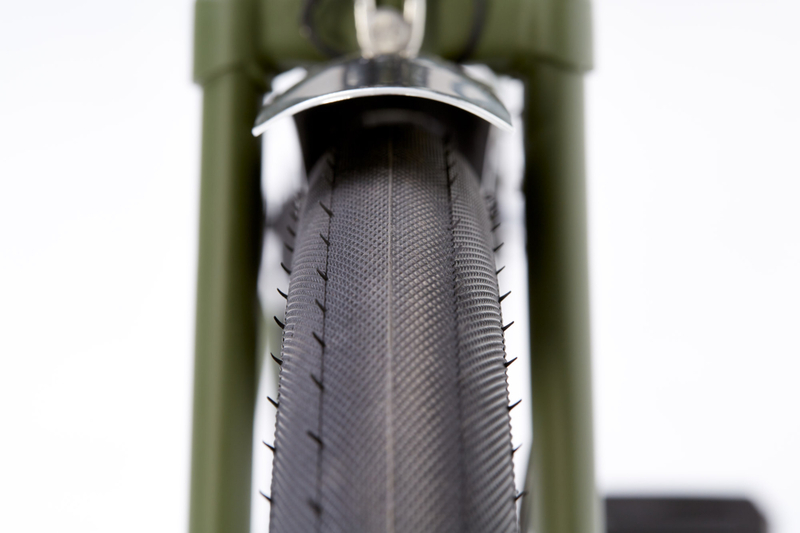 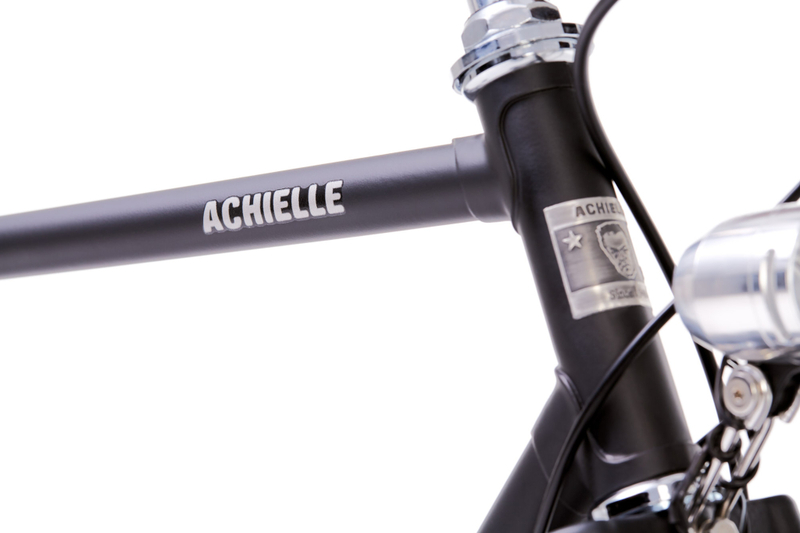 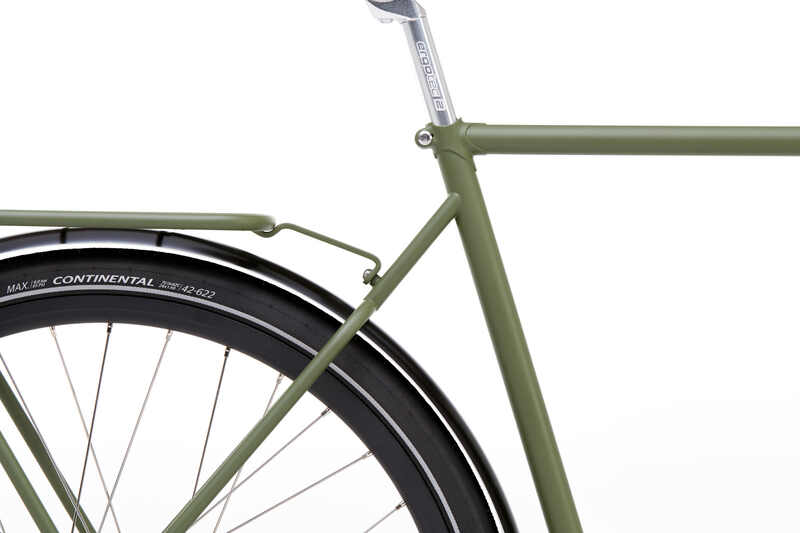 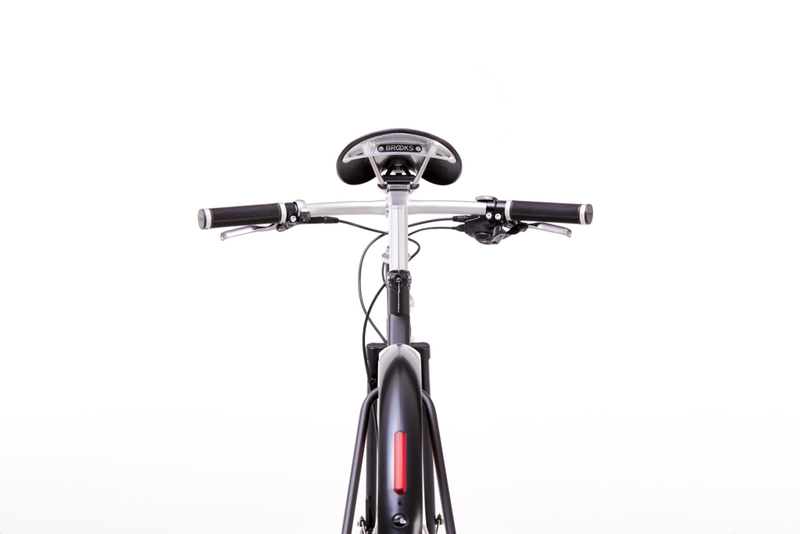 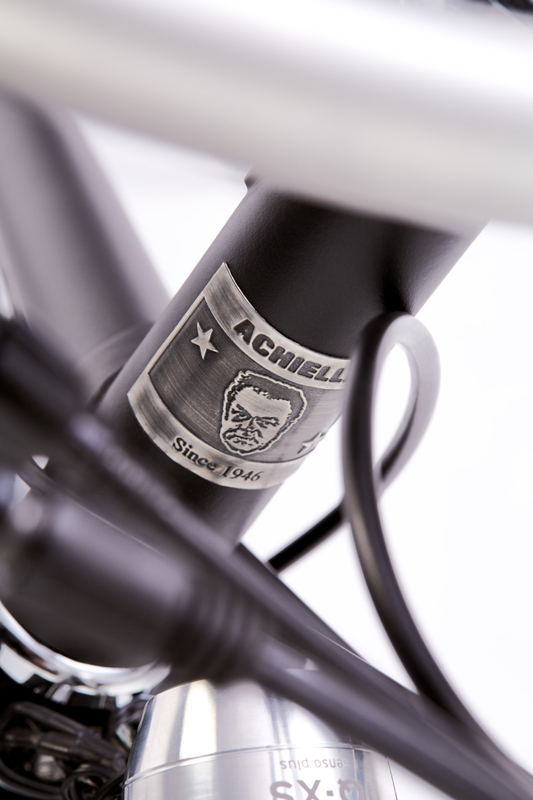 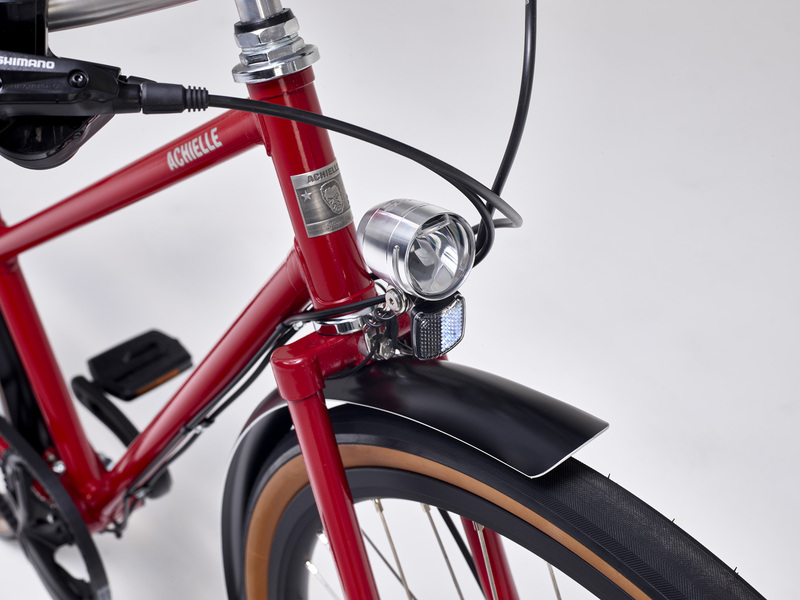 We have tried to make a very modern bike without losing the Achielle identity. 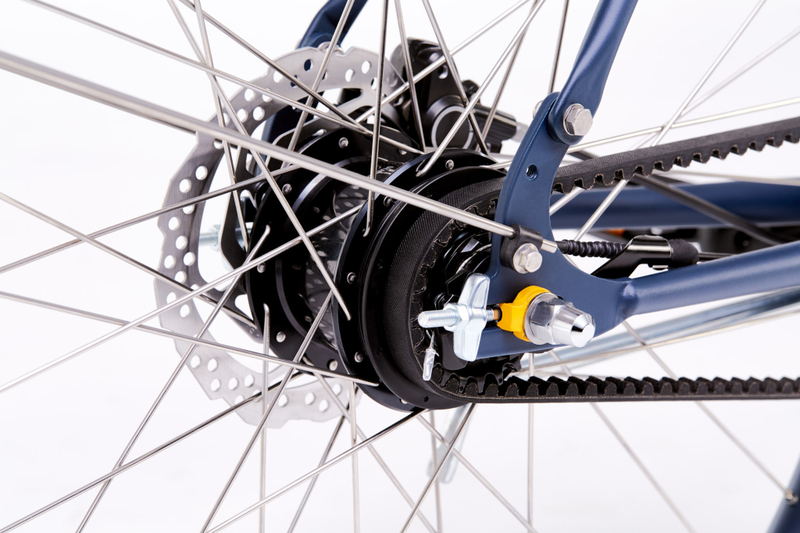 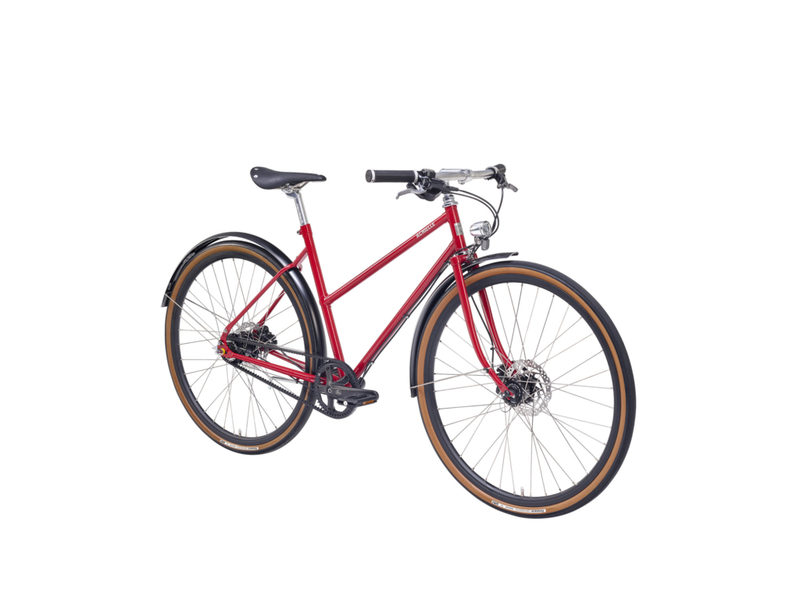 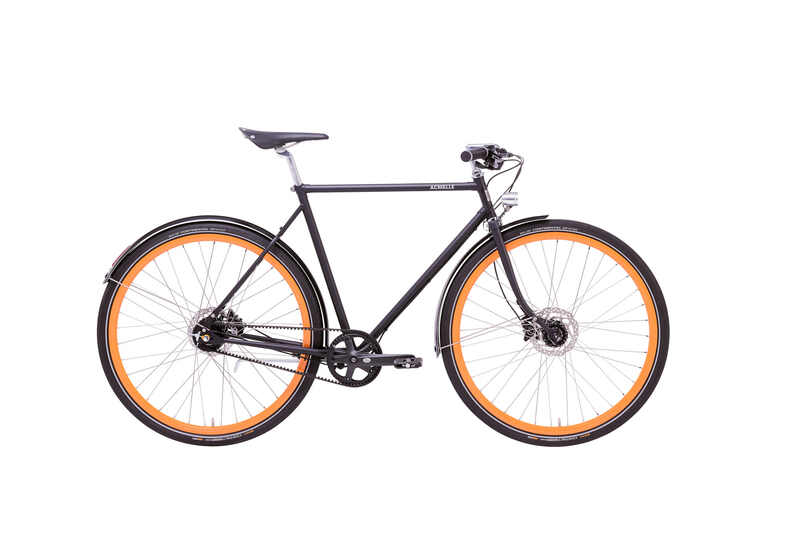 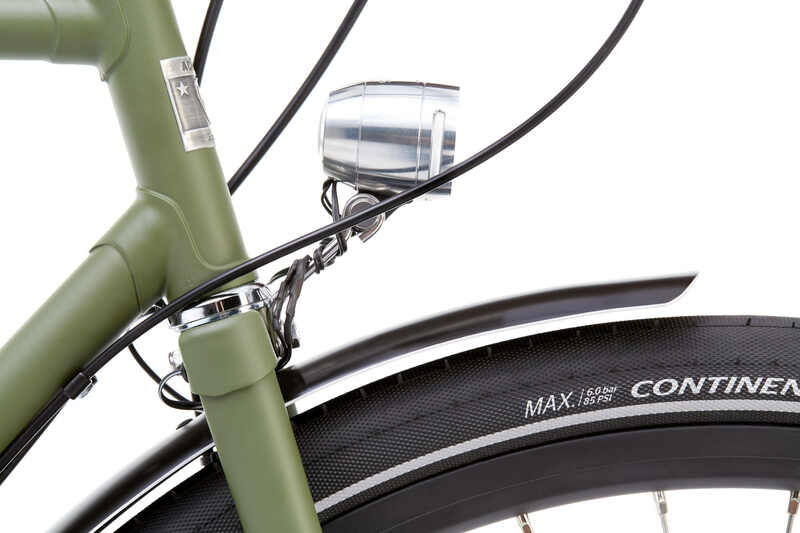 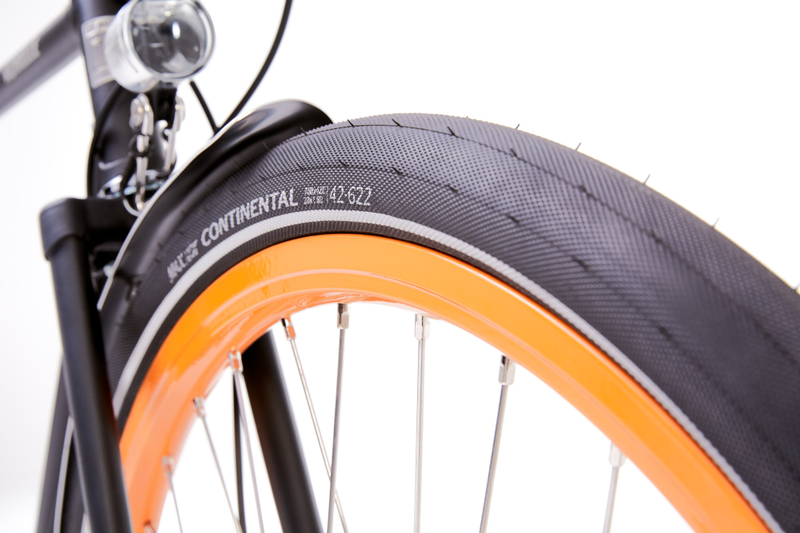 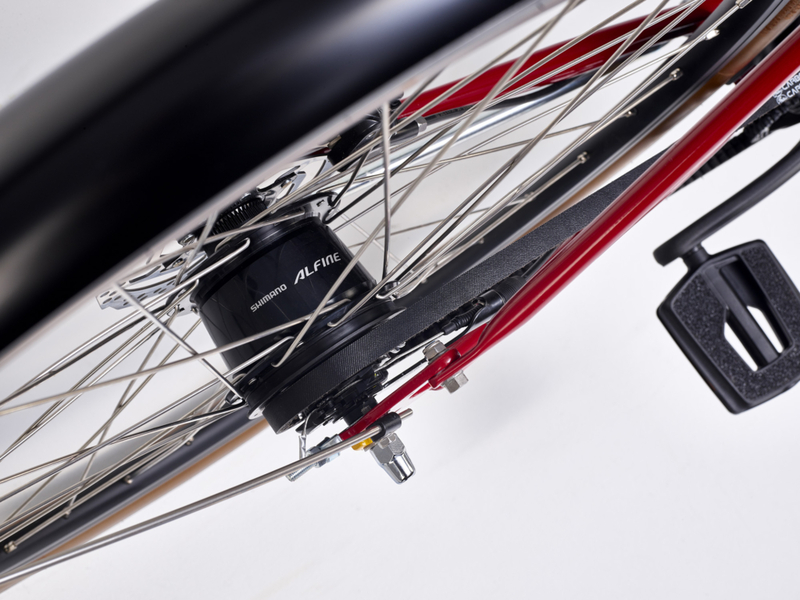 Thanks to its somewhat wider tires, you will float over the cobblestone streets, while the beltdrive with the Shimano Alfine 8-speed internal-gear hub ensures a smooth and silent ride. 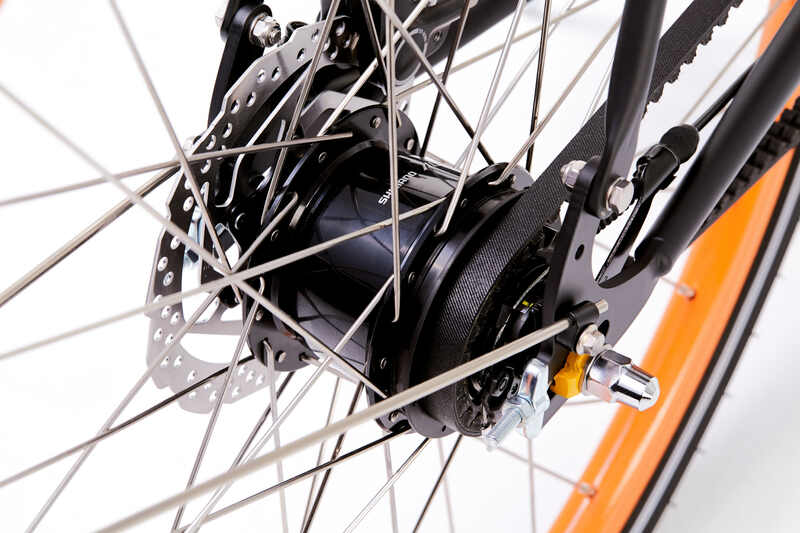 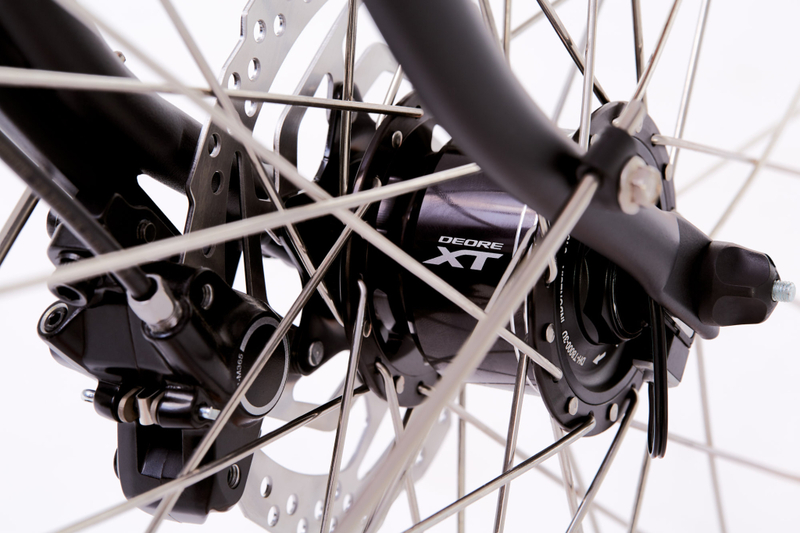 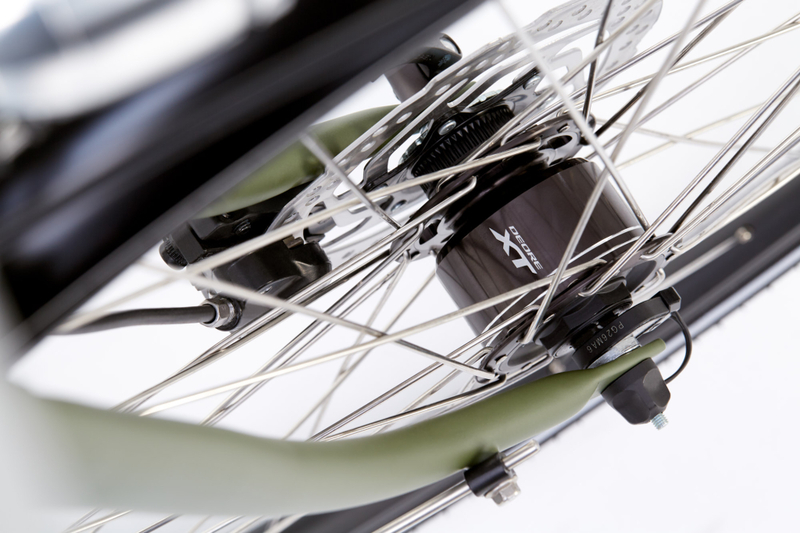 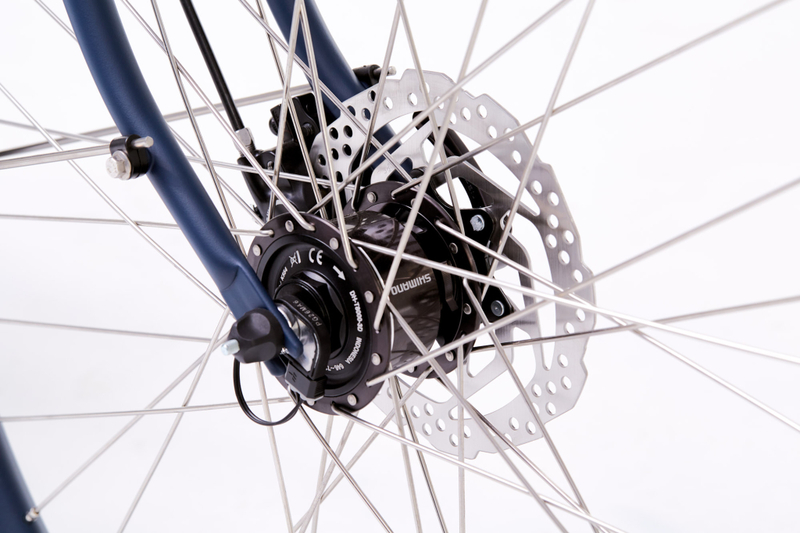 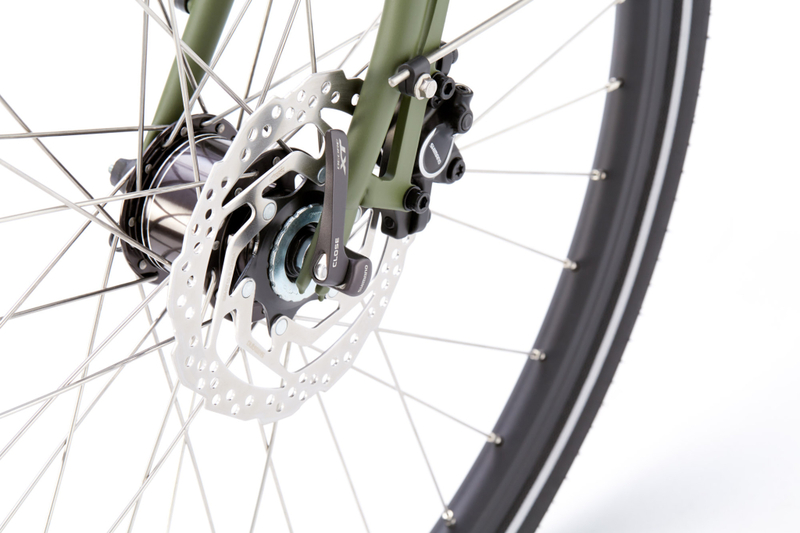 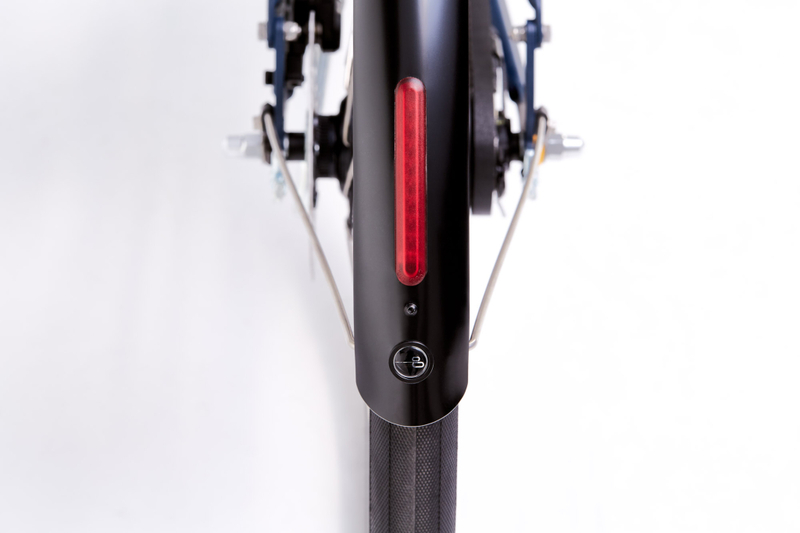 The lights are powered by an XT hubdynamo. At night, the front light produces no less than 70 lux and even during the day, the BUMM front light automatically switches to the daylight function. 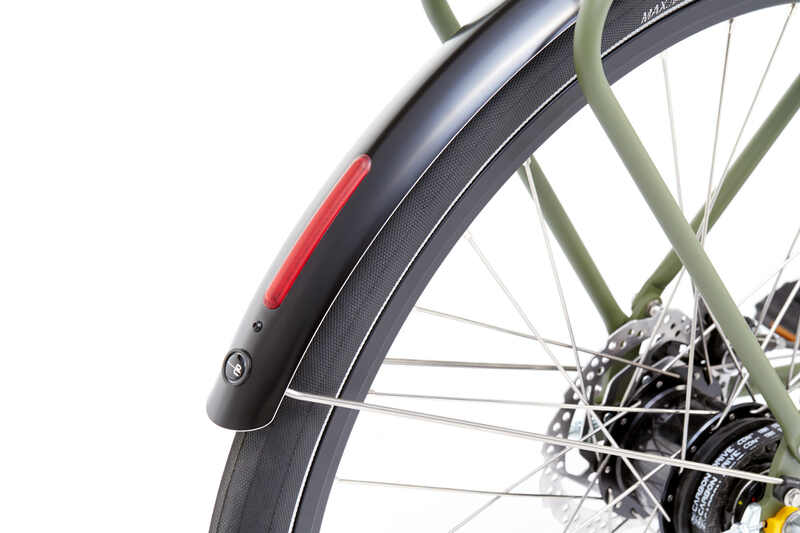 Both the rear light, integrated in the Curana fender, and the front light are provided with “parking light” function. 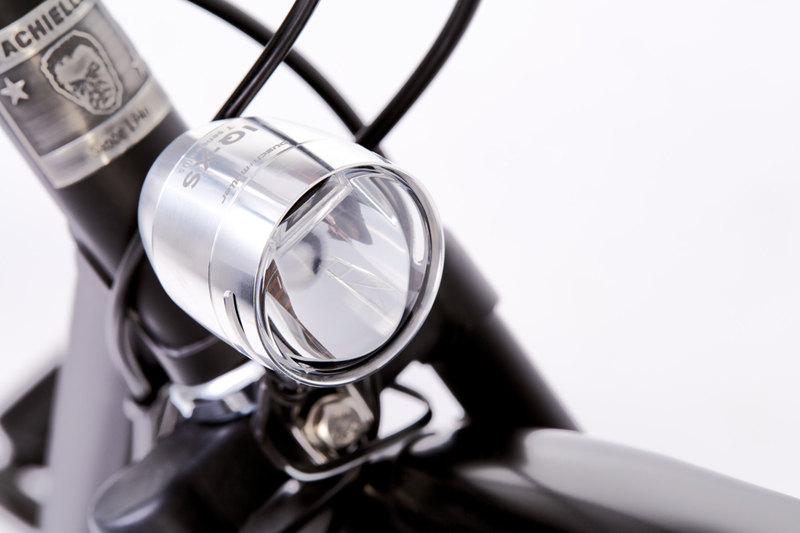 These two functions ensure that you stay visible to other road users at all times, also during the day and when you stop briefly. 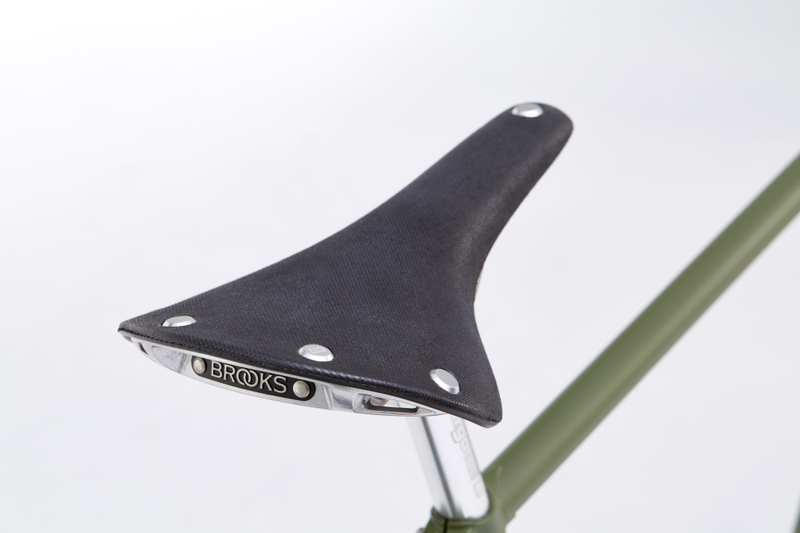 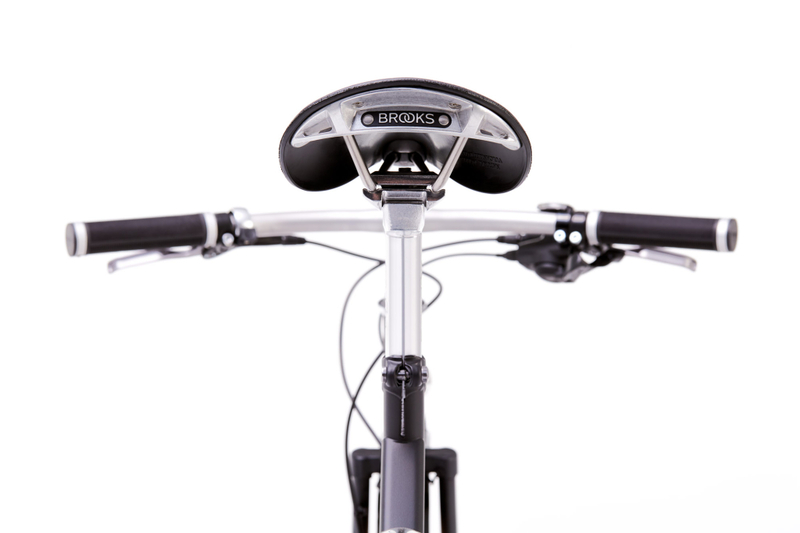 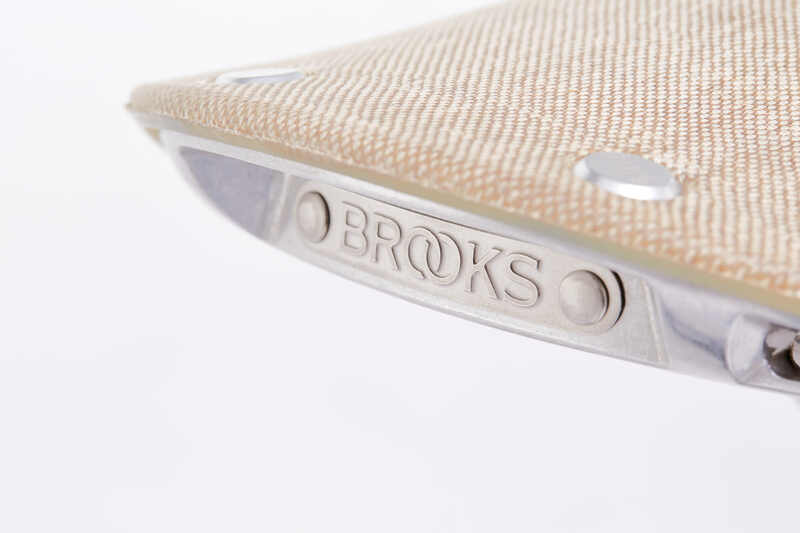 Furthermore, this bike is standardly equipped with Brooks Cambium C17 / C17s saddle and grips, Shimano hydraulic disc brakes and pedals with extra grip. 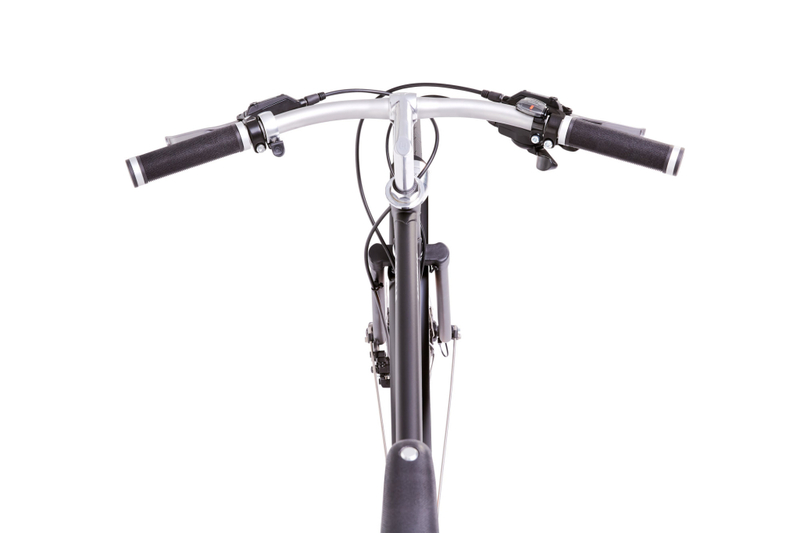 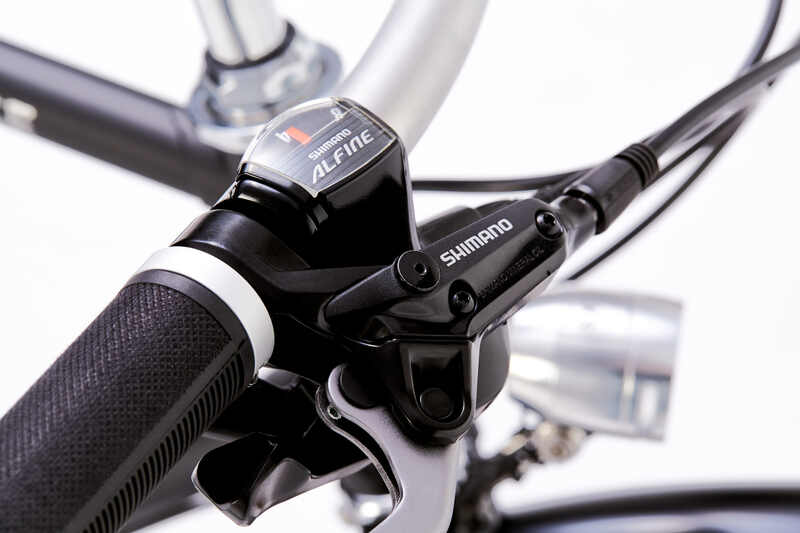 Thanks to the choice between different handlebars and stems, you can opt for a sportier or a more upright position. 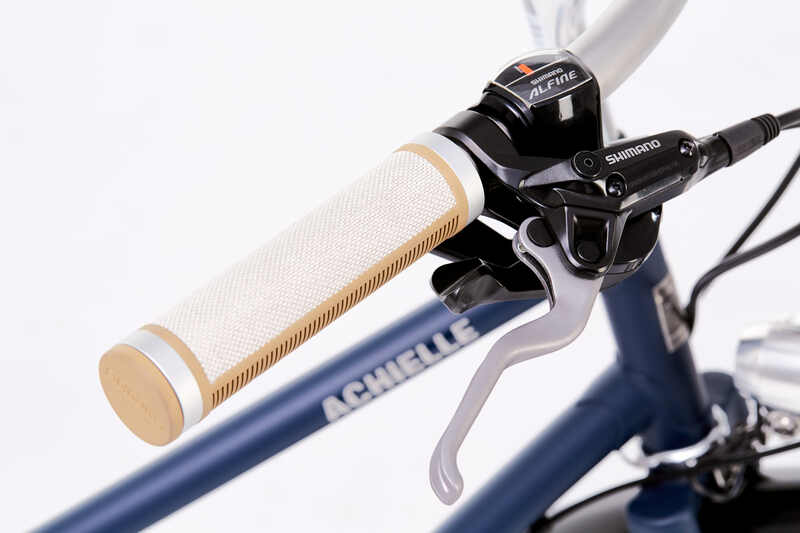 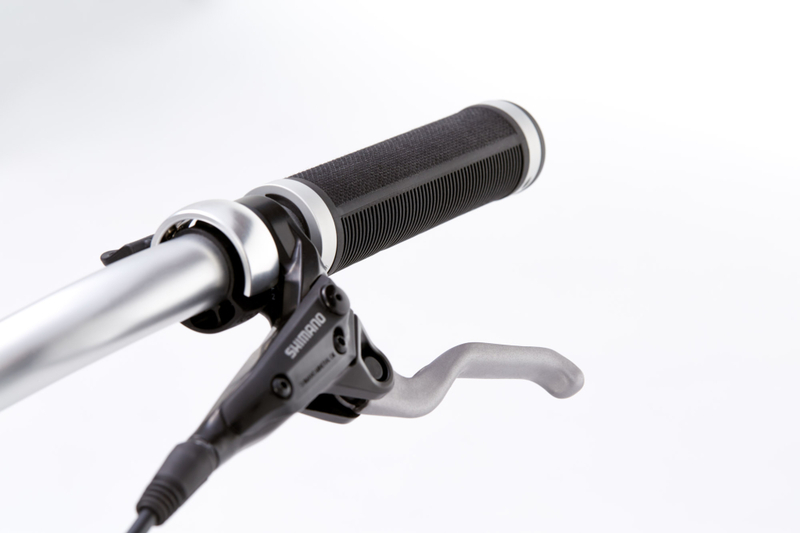 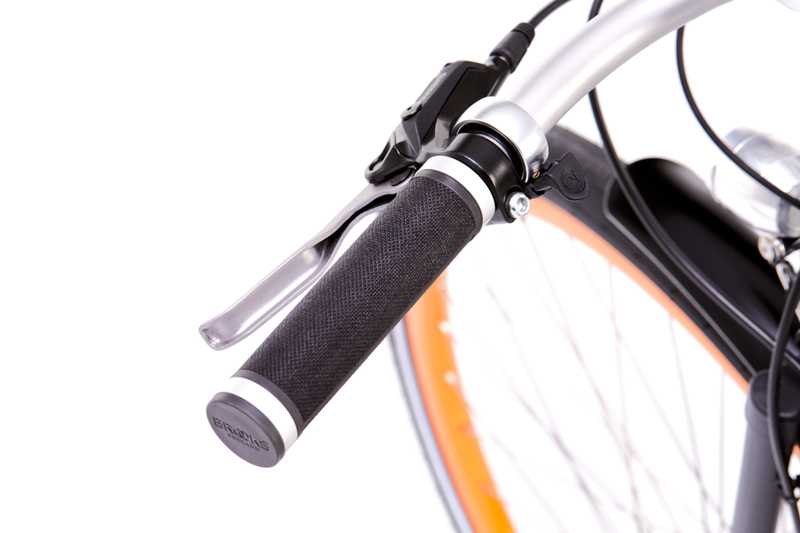 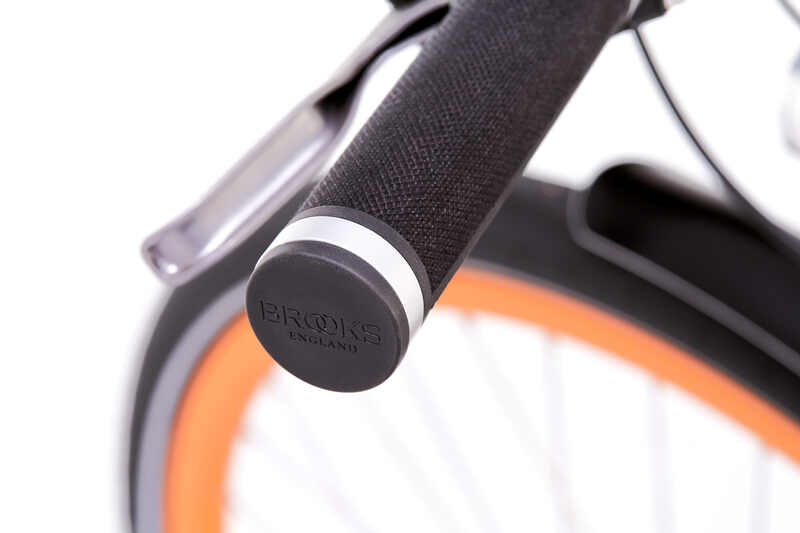 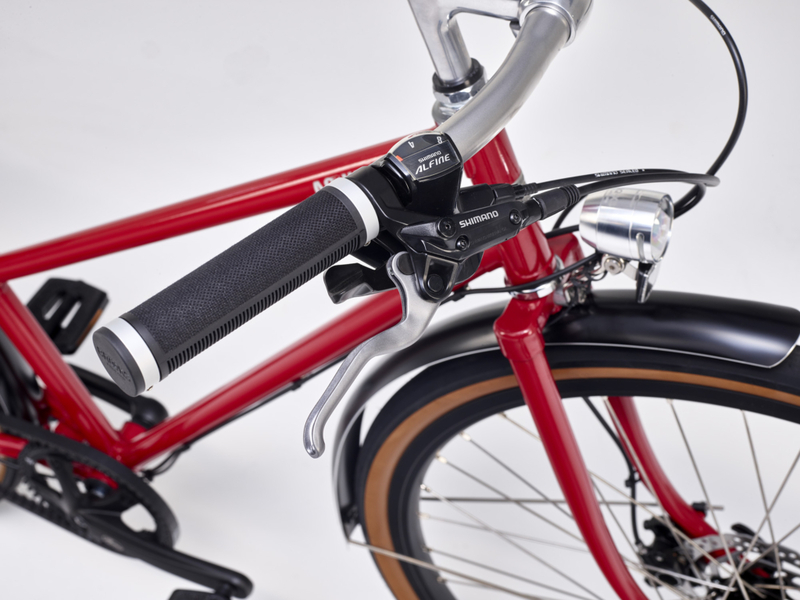 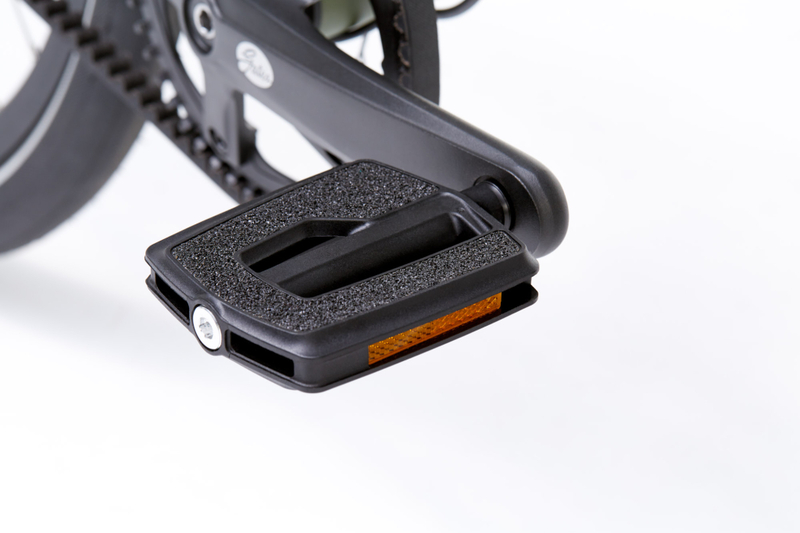 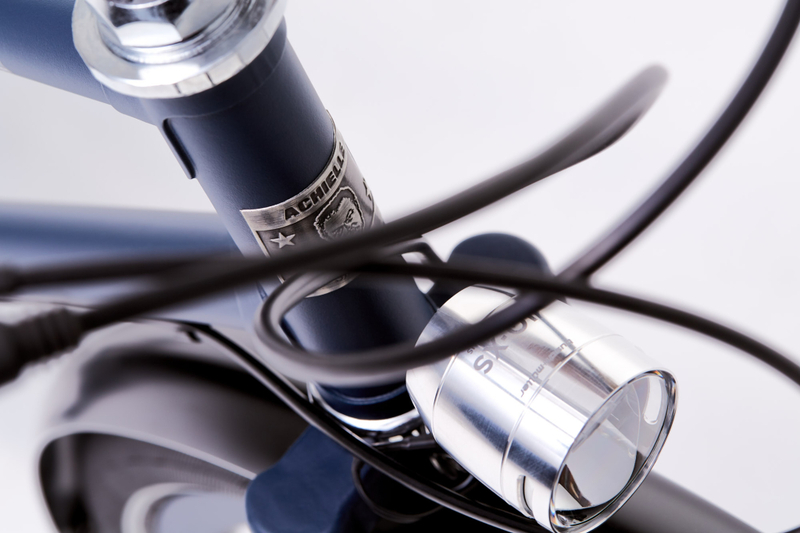 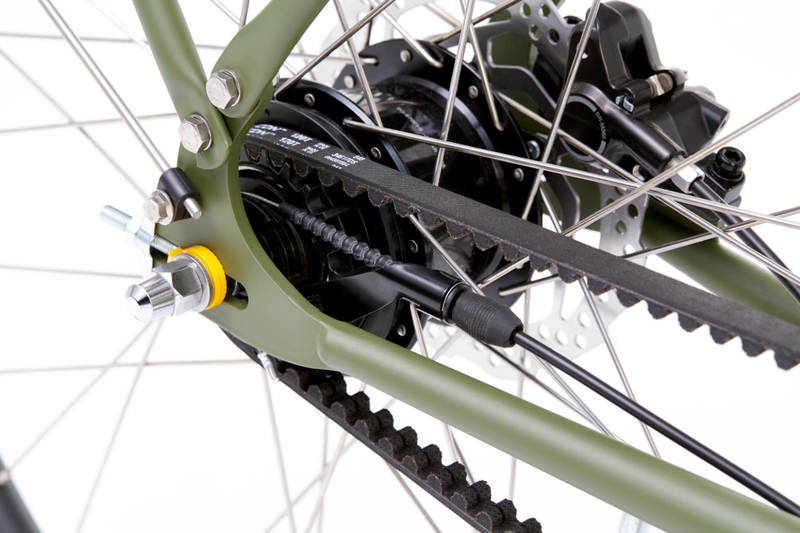 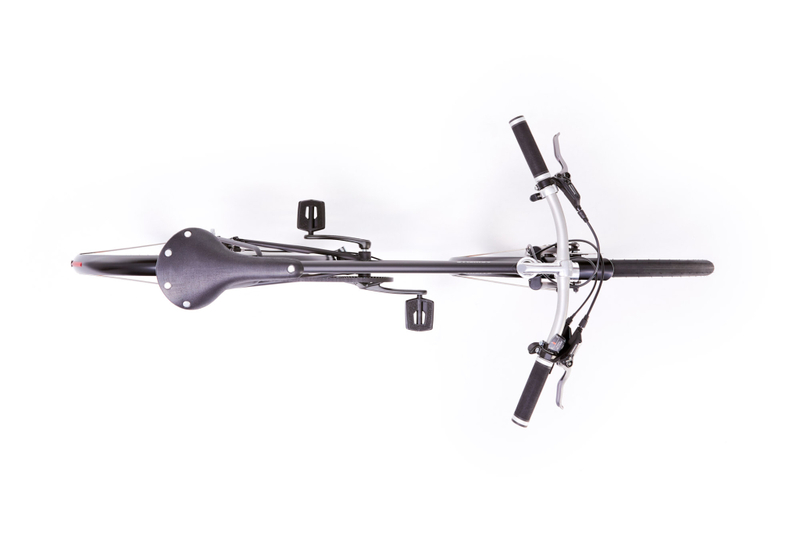 Available with Comfort handlebar (Jules) and Sport handlebar (Miel), combined with Eagle stem or Dropstem (optional). Ryde rims standardly available in aluminium colour and optionally in Black Matte, Nightblue Matte, Armygreen Matte and Tangerine (glossy).